Strictly speaking of course, Edison was as much an "Edwardian" engineer, but not sure that is as applicable an era for Americans as is "Victorian", which I always feel weird about anyway. 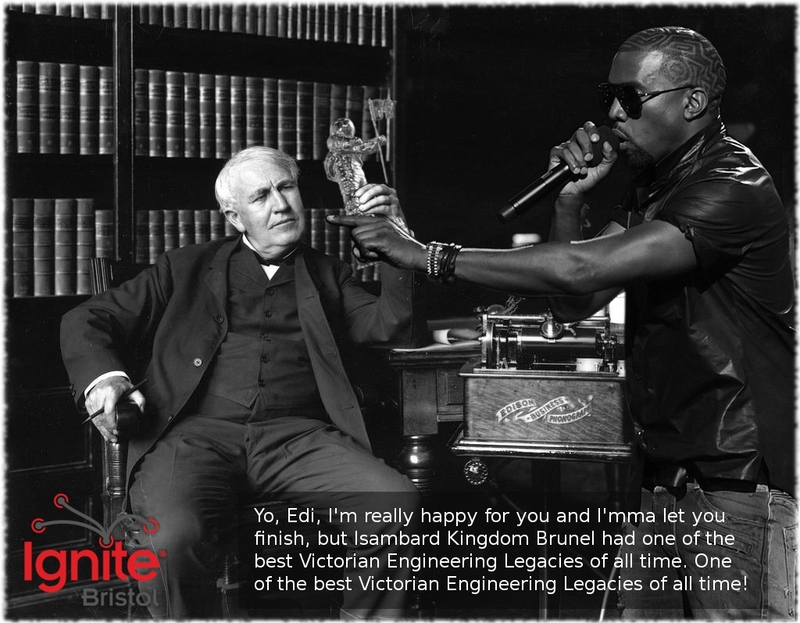 I hear what you're saying, and I realise that although Edison really got started in the 1890's his real impact was to come later. Point taken. 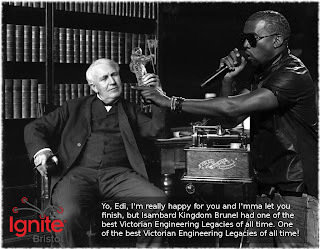 Fact was, the pose Edison was adopting meant he'd do well with the MTV award and he's the only American chap of his ilk I could think of with the broad range of talents to compete with our own Mr Brunel. I'm sure to be wrong. I stayed in a "Victorian era" townhouse, now hostel, in Sacramento. Couldn't get my head around the concept. Very pretty building though.